The University of St. Thomas held its 7th Annual American & Global Studies Colloquium from July 15 to 29, 2017. 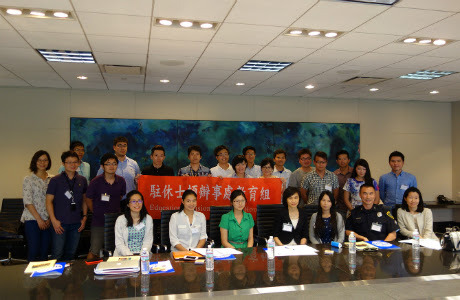 A student delegation of 12 people led by Mr. John Wang of Wenzao University and Professor Ingrid Chang of Chia Nan University from Taiwan was proud to take part in this two-week workshop in Houston. Not only did the program include classroom discussions, but also activities for students to experience the local lifestyle of Texas. 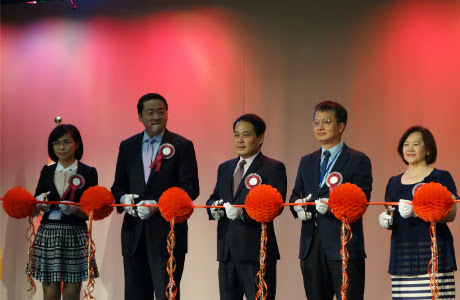 To encourage more educational exchanges, Mayor Sylvester Turner of the City of Houston announced July 18th as Houston-Taiwan University Friendship Day. In his proclamation, Mayor Turner welcomes the Taiwanese student delegation to Houston. 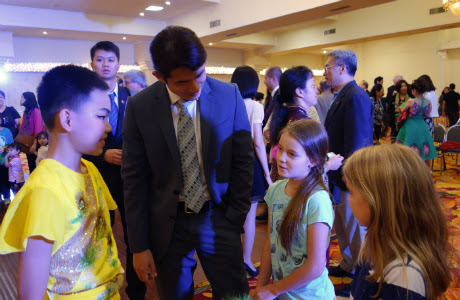 He also states that the delegation’s visit strengthens the bonds between the people of Houston and Taiwan. 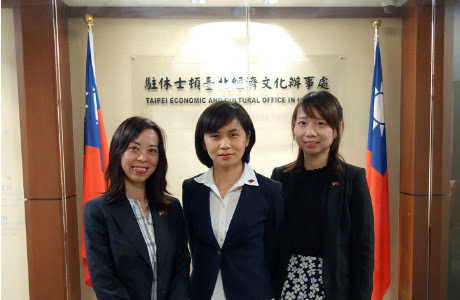 The Taipei Economic and Cultural Office in Houston and the University of St. Thomas’s efforts in connecting people together have been beneficial for Houston’s vibrant diversity, economy and international standing. As each other’s oldest sister city, Houston and Taipei share common values and have actively promoted cooperation in trade and investment, science and technology, culture, education and tourism for several decades. 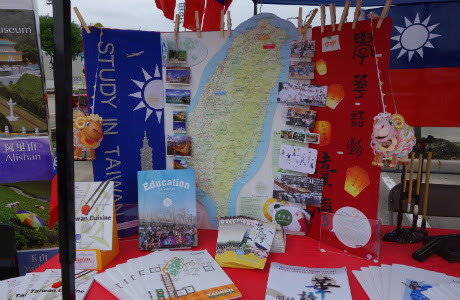 To broaden the horizons of Taiwanese youth, the Taiwan Ministry of Education (MOE) Teaching Excellency Grant sponsored 12 outstanding students from Wenzao University and Chia Nan University to undertake the trip. These young scholars not only completed the mission given by the MOE, they also successfully played the role of student ambassadors. As the trip came to a close, they knew it was not the end of the journey but the beginning of a new chapter awaiting their entrance as a worldly citizen of the globe. The Institute of Marketing Communication at National Sun Yat-sen University in Taiwan is seeking applications for one full-time faculty positions beginning on February 1st 2018. We are especially interested in the areas of Big-data Marketing, Marketing Communication, Advertising, Public Relations, and Content Marketing. The deadline for applications is on August 31th 2017; however, review of applicants will begin immediately and continue until the position is filled. The Department of Materials Science and Engineering (DMSE) at National Tsing Hua University, Taiwan, is the first, the largest and the most renowned DMSE in Taiwan. The DMSE has strengths and interests across full spectra of materials researches, and is equipped with the richest state-of-the-art facilities and supportive staffs. Now, we seek two tenure-track positions at all levels, starting in February or August 2018. Faculty duties include teaching at both graduate and undergraduate levels, executing outstanding researches, and serving the department and university. All applicants must hold a Ph.D. degree in Materials Science and Engineering or the related fields by the start of employment. 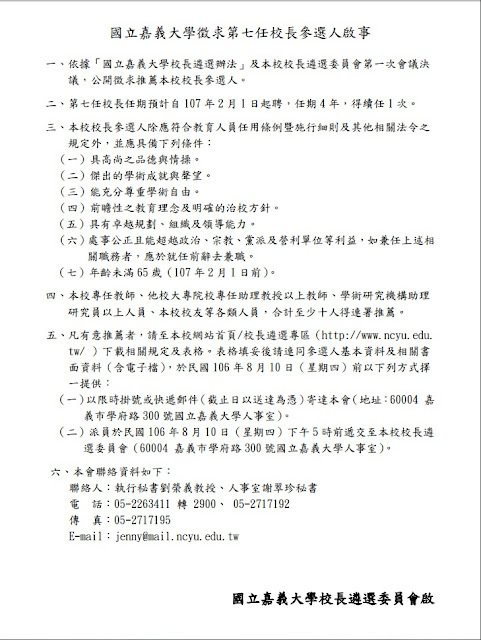 In addition to the standard salary, we also offer the outstanding recruits a housing allowance of NT$ 10,000 per month, and an additional merit pay of NT$ 30,000 to 85,000 per month.